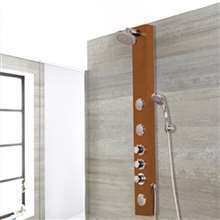 This 57" Thermostatic Shower Panel provides full coverage and relaxation. 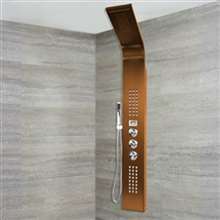 Rainfall showerhead, massage jets, and handheld shower, all conveniently located on one shower panel. This compact design comes standard in stainless steel but is also available in gold tone finish or oil rubbed bronze to best compliment your bathroom. 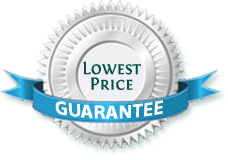 * Easy installation, come with all standard installation accessories. Firstly, i will love to state that this shower panel in comparison to others comes at a very great price. The shower panel also works flawlessly and it is exactly as described. The downside is in the installation. the installation description is absolutely poor and they could have made it quite better for folks that are not very handy. I got the Stainless steel finish of this shower panel and it is exactly what i hoped it will look like and more. Asides the finish, the shower panel works really well. I have had no cause for regret after installation. Great buy. I was really excited to have this installed and so it was kind of frustrating that the shipping took too long to arrive. I think it must have been three week overdue before it was finally delivered. I was almost ready to cancel my order then, but I don't think they allow that. Anyway, the shower panel is great and works well, but if they want to keep their customers then they'd better do something about their services. Having gone over the different shower panels here in the website, I finally decided that this is the one I wanted. Not only did it look great in the picture, but the product details and features looked promising as well. Fortunately, everything I thought and hoped for came as expected. I really feel that I made a good purchase with this one, and the price were well compensated by the design and features. After putting an order and trying it out for a few days, I have to say that this is one impressive bathroom fixture. I wasn't really sure if we should buy this in the first place, but my wife wanted it so we did. Now, I'm enjoying every minute of using this shower panel. I don't know why, but I feel like it's given me a much better and more refreshed feeling after using it.